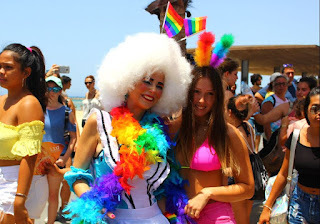 Thousands of people from around the world are partying in Tel Aviv at the Gay Pride Parade, the region’s largest. 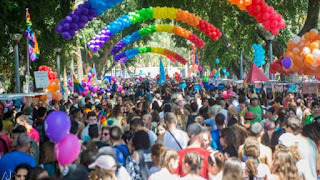 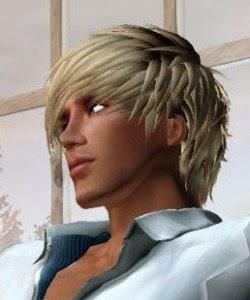 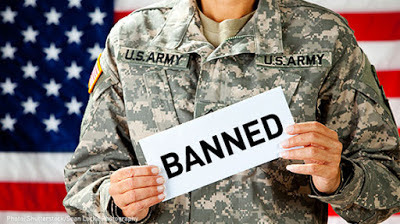 The Municipality said over 200,000 people celebrated the event. 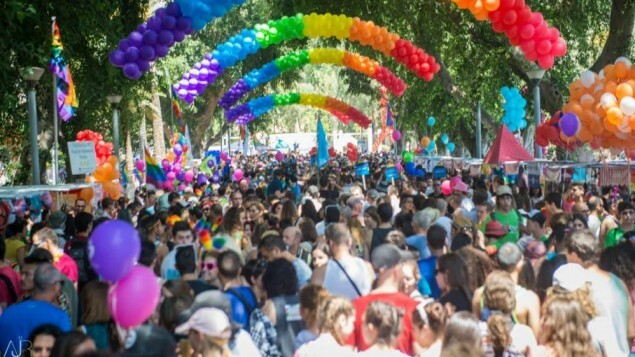 Amid tight security, revelers celebrate freedom and tolerance at annual event in the one of the world’s most gay-friendly travel destinations. 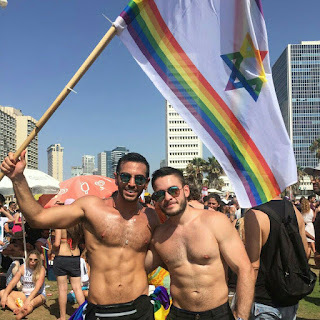 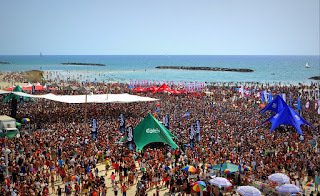 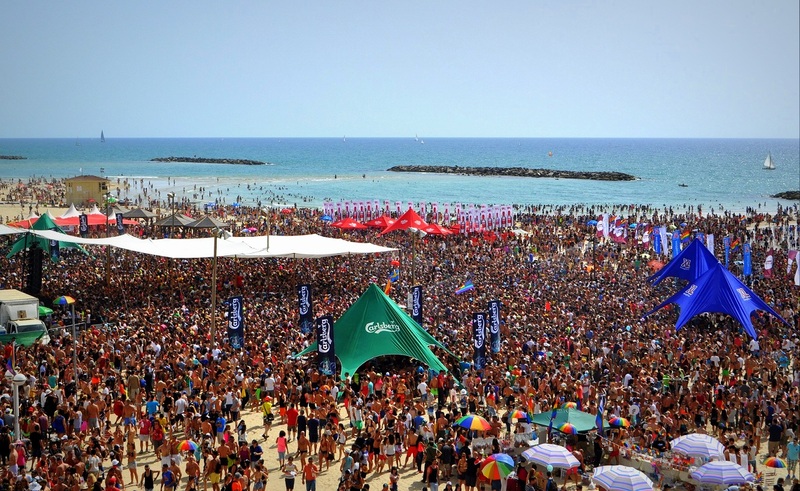 The parade in Tel Aviv began at noon, and proceeded to the beachfront, along Bugrashov Street, Hayarkon Street, Frishman and Herbert Samuel, concluding at Charles Clore Park in the city’s south, where a party will be held into the evening. .
Israel stands in sharp contrast to much of the region. 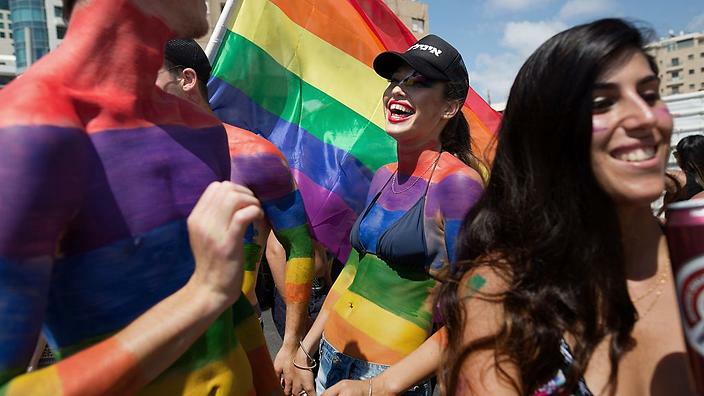 Across the rest of the Mideast, gay and lesbian relationships are mostly taboo. Pervasiveness of religion in everyday life, along with strict cultural norms, plays a major factor.